Tired of the old-fashioned rum & raisin pound cake? Try this new twist with Choya Umeshu! You’d be surprised how amazing this tastes! Marinate the raisin with Choya Umeshu for 30 mins. Add room temperature eggs one by one, beating after each addition. Combine baking powder and flour. Stir into creamed mixture. Pour batter into prepared pan with 2 spoons, make a hole in the middle of the batter. Wipe off any smeared batter from the edge of the pan. 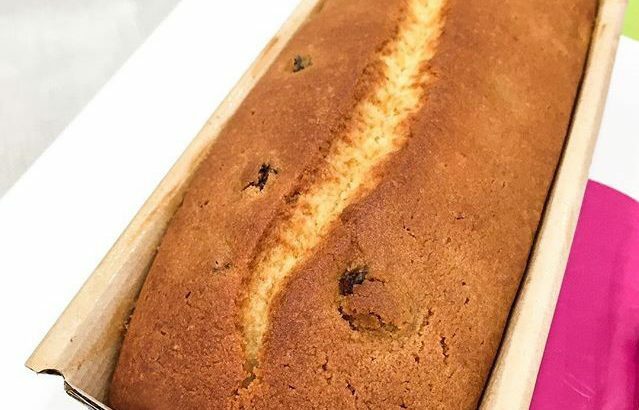 Bake the cake for about 20 minutes at 180 degree C then bake again for another 20 minutes at 160 degree C.
Once it is baked, spray choya umeshu over the cake. 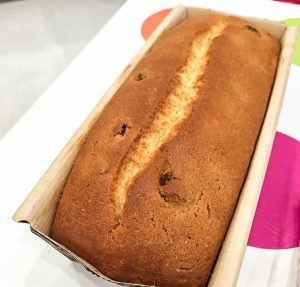 Wrap the cake loaf and leave it in the fridge to chill.